Thats all. Game finished - FK Krasnodar 0, Bayer 04 Leverkusen 0. Second Half ended - FK Krasnodar 0, Bayer 04 Leverkusen 0. Offside - Bayer 04 Leverkusen. Lucas Alario with a pass, however Karim Bellarabi is in offside. Offside - Bayer 04 Leverkusen. Kai Havertz with a pass, however Karim Bellarabi is in offside. Corner - Bayer 04 Leverkusen. Conceded by Aleksandr Martynovich. Shot blocked. Lucas Alario - Bayer 04 Leverkusen - shot with left foot from outside the box is blocked. New attacking attempt. Kevin Volland - Bayer 04 Leverkusen - shot with the head from few metres is saved in the left corner. Assist - Julian Brandt. Charles Kaboré - FK Krasnodar - won a free kick in defence. Substitution - Bayer 04 Leverkusen. Aleksandar Dragovic for Sven Bender - injury. 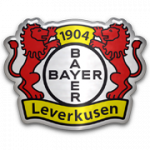 Delay in match Sven Bender - Bayer 04 Leverkusen - - injury. Substitution - FK Krasnodar. Artem Golubev for Mauricio Pereyra. 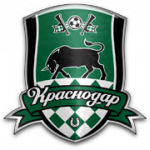 Shapi Suleymanov - FK Krasnodar - receive yellow card. Shapi Suleymanov - FK Krasnodar - has gone down, but that's a dive. Corner - Bayer 04 Leverkusen. Conceded by Mauricio Pereyra. Wendell - Bayer 04 Leverkusen - won a free kick in attack. Mauricio Pereyra - FK Krasnodar - receive yellow card for a foul. Substitution - FK Krasnodar. Shapi Suleymanov for Kristoffer Olsson. Offside - Bayer 04 Leverkusen. Kevin Volland with a pass, however Wendell is in offside. Missed chance. Uros Spajic - FK Krasnodar - shot with right foot from the centre of the box is close, but missed. New attacking attempt. Viktor Claesson - FK Krasnodar - shot with right foot from the centre of the box is saved by goalkeeper in the centre of the goal. Assist - Dmitriy Stotskiy. Kristoffer Olsson - FK Krasnodar - won a free kick in defence. Shot blocked. Kai Havertz - Bayer 04 Leverkusen - shot with left foot from the right side of the box is blocked. Assist - Mitchell Weiser. Missed chance. Karim Bellarabi - Bayer 04 Leverkusen - shot with left foot from the right side of the box is close, but missed to the left. Assist - Kai Havertz. Leon Bailey - Bayer 04 Leverkusen - won a free kick on the left wing. Missed chance. Julian Brandt - Bayer 04 Leverkusen - shot with right foot from outside the box is close, but missed to the left. Assist - Wendell. New attacking attempt. Leon Bailey - Bayer 04 Leverkusen - shot with right foot from the left side of the box is saved in the right corner. Assist - Mitchell Weiser. Missed chance. Kevin Volland - Bayer 04 Leverkusen - shot with left foot from outside the box goes high. Assist - Karim Bellarabi. Missed chance. Karim Bellarabi - Bayer 04 Leverkusen - shot with right foot from outside the box is close, but missed to the left. Assist - Mitchell Weiser. Shot blocked. Kai Havertz - Bayer 04 Leverkusen - shot with left foot from the centre of the box is blocked. Assist - Wendell. Missed chance. Mauricio Pereyra - FK Krasnodar - shot with right foot from outside the box is close, but missed to the left. Assist - Kristoffer Olsson. Second Half starts FK Krasnodar 0, Bayer 04 Leverkusen 0. First Half ended - FK Krasnodar 0, Bayer 04 Leverkusen 0. Dmitriy Stotskiy - FK Krasnodar - won a free kick in defence. Corner - Bayer 04 Leverkusen. Conceded by Dmitriy Stotskiy. Missed chance. Sven Bender - Bayer 04 Leverkusen - shot with right foot from the centre of the box is close, but missed. 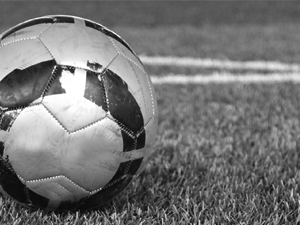 Assist - Leon Bailey with a cross after corner. Missed chance. Kristoffer Olsson - FK Krasnodar - shot with right foot from the centre of the box is high and wide to the right. Assist - Wanderson following a fast break. Missed chance. Karim Bellarabi - Bayer 04 Leverkusen - shot with right foot from outside the box missed to the left. Assist - Kai Havertz. Corner - Bayer 04 Leverkusen. Conceded by Wanderson. Missed chance. Wanderson - FK Krasnodar - shot with right foot from outside the box missed. Offside - Bayer 04 Leverkusen. Kai Havertz with a pass, however Charles Aránguiz is in offside. Offside - FK Krasnodar. Kristoffer Olsson with a pass, however Wanderson is in offside. New attacking attempt. Leon Bailey - Bayer 04 Leverkusen - shot with right foot from outside the box is saved in the right corner. Assist - Kai Havertz. Viktor Claesson - FK Krasnodar - won a free kick on the left wing. Corner - FK Krasnodar. Conceded by Mitchell Weiser. New attacking attempt. Ivan Ignatyev - FK Krasnodar - shot with right foot from the right side of the box is saved by goalkeeper in the centre of the goal. Missed chance. Karim Bellarabi - Bayer 04 Leverkusen - shot with left foot from outside the box goes high. Assist - Julian Brandt. New attacking attempt. Wanderson - FK Krasnodar - shot with right foot from outside the box is saved in the left corner. Assist - Viktor Claesson. New attacking attempt. Kristoffer Olsson - FK Krasnodar - shot with left foot from the centre of the box is saved by goalkeeper in the centre of the goal. Assist - Mauricio Pereyra with a cross. Charles Kaboré - FK Krasnodar - won a free kick on the left wing. Corner - Bayer 04 Leverkusen. Conceded by Sergey Petrov. Offside - FK Krasnodar. Stanislav Kritsyuk with a pass, however Wanderson is in offside. Charles Aránguiz - Bayer 04 Leverkusen - won a free kick in defence. Shot blocked. Karim Bellarabi - Bayer 04 Leverkusen - shot with left foot from the centre of the box is blocked. Assist - Leon Bailey. Shot blocked. Kevin Volland - Bayer 04 Leverkusen - shot with left foot from outside the box is blocked. Assist - Leon Bailey with a cross. Shot blocked. Karim Bellarabi - Bayer 04 Leverkusen - shot with right foot from long distance on the right is blocked. Assist - Kai Havertz. Sven Bender - Bayer 04 Leverkusen - won a free kick in defence.